In general, the hospitality business is experiencing an upswing—modest as it may be. "Occupancy percentage, room rates and payroll exposures have stabilized and, in most cases, there is limited but steady growth," says Joseph Dolce, CPCU, executive vice president of National Accounts for Venture Insurance Programs. Venture's hospitality focus is largely on golf destination resorts and hospitality management companies with multiple-location hotels, resorts and restaurants. Dusty Rowland, president and CEO of Mainstay Insurance Group, which recently launched a new hotel and resort insurance program, is seeing similar growth. "The industry is slowly improving in most segments," he says, "with upscale and luxury showing the strongest growth." Improvements taking place in the hospitality market are allowing hotels to pursue new initiatives to drive business, Rowland adds. "Travelers are seeking out new experiences and are more aware of hotels' environmental impacts," he notes. Some hotel owners have achieved LEED and Energy Star status to reduce their environmental impact while improving their image and attracting new guests, he adds. "In addition, the non-profit Association of Green Property Owners and Managers has identified a connection between quality of risk and going green," Rowland notes. "The organization offers an entry-level green building platform where owners can reduce insurance costs, along with utility costs, and boost guest satisfaction." Restaurants are also seeing a rebound. "Most of our clients are reporting higher revenues as policies renew," explains Heidi Strommen, president of ProHost USA. "This follows a 24-month period of steady exposure decrease. That's good for our customers and for us." In the midst of the turnaround, Michael Maher, marketing vice president at RCA Insurance, draws a correlation between the business—restaurants in particular—and the hospitality insurance arena. "In the restaurant business, the mantra has been 'Location, Location, Location,'" he explains. "During this endless soft market, in our restaurant and tavern segment, the insurance business can be best described as 'Competition, Competition, Competition.'" In the midst of such competition, agents and brokers can help clients and prospects adequately cover their risks—at generally good prices. "In the restaurant/tavern segment, many insureds fail to take advantage of additional coverages, such as umbrellas, property enhancement endorsements and mechanical breakdown," Maher says. "Also, they often carry insufficient liquor liability limits and they don't really understand business income coverage." For instance, he adds, "They are surprised when business interruption claim recoveries are less than anticipated, because loss is 'net' and not the gross income they thought they'd recover." Strommen says cyber liability is another area of under-protection. "A lot of restaurants—and probably too many agents—think that if you're not actually selling a product on the Internet, you don't really have a cyber liability exposure," she says. "That's not true." The issue hit home in her own community. "Our local paper ran an article about cyber crime," she says, "and an example they used was a restaurant just outside the Twin Cities where a hacker infiltrated the restaurant's customer database and sold credit and debit card information. The owner had to notify those who were affected—to the tune of $20,000." This coverage is normally excluded under standard GL forms, she notes. "Unless somebody actively addresses it, the restaurant won't be covered. 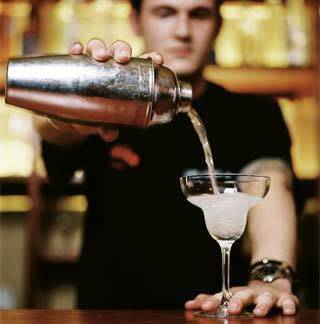 Fortunately, there is an education process going on both with agents and with restaurants as to the actual exposures." Another area where restaurants have skimped on coverage is umbrellas. "They're opting out or reducing limits," Strommen explains. "They've looked at their bottom line and, where they felt coverage was expendable, they cut it." In the resorts and hospitality management arena, business income and extra expense are especially important, notes Dolce. "Any business interruption can have a long-term impact on bookings for weddings, banquets, tournaments, conferences and trade shows," he explains. "While property can be repaired/replaced relatively quickly, loss of income due to cancellations can extend for years. This must be factored into BI/EE limits." Dolce cites as an example a private country club loss. "It took a year and half of extensive renovation and reconstruction before the facility was completed," he recalls. "But the business income extended well beyond the completion date, due to the lack of advance bookings. The unlimited extended period of indemnity offered to this club was crucial in letting it retain potential lost income." For restaurants, Strommen says agents and brokers should address industry-specific coverages. "For instance, make sure they have coverage for contamination and spoilage," she says. "If you buy a generic package policy, you may not have those. Especially when changing from one carrier to another, make sure you compare policies and endorsements. They're not all created equal." And, she adds, document when clients turn down recommended coverages or go against suggested limits. Rowland, who has been insuring hotels, resorts and casinos since the late 1990s, has seen more than his fair share of corner cutting. Areas that concern him include those listed in the box located on page 102. Agents and brokers should build partnerships with experienced providers and rely on their expertise. "A good provider will help educate their good partners and teach them the important coverages needed in each segment," says Rowland. Maher encourages agents and brokers in his marketplace to learn all they can about the business. "This is a specialized segment," he says, "and brokers need to provide expert service to their client." Learning can involve taking part in local, regional and national hospitality trade shows or conferences, Dolce points out. "Ask a hospitality client for a list of conferences and trade shows that hospitality senior managers, CFOs or controllers attend," he says. "You may not know all of the insurance issues facing the industry, but you will get a much better understanding of the issues facing your client." Participation in loss control surveys and claim review meetings can also drive learning. "Use information learned to become an expert," Dolce notes. "Walking through a hotel, resort or restaurant with a qualified safety engineer or sitting through a claim review meeting on hospitality-specific claims are fast, efficient and worthwhile training tools." Strommen encourages agents to click their way to knowledge. "I can't emphasize enough how many resources are on the Internet," she says. "And I'm surprised at how little they are used. In addition to restaurant industry Web sites, a lot of carrier Web sites have good information, whether or not you use that carrier." In working with clients, Rowland suggests using a market-specific BI worksheet and keeping a reference checklist of important coverages. Maher agrees. "Offer and explain available additional coverages," he says, "and make certain clients insure to value on their property." Add value by focusing on risk management and loss control. "Encourage clients to self-inspect their businesses every day for obvious hazards, both inside and out," Maher says. "Teach employees to watch for and immediately report hazards." Strommen adds, "Make sure clients treat loss control representatives as partners in their program. It should not be an antagonistic relationship. The key is to really participate in the inspection process, and not put it off to a low-level manager." Dolce stresses accountability. "Require on-site property management to be fiscally responsible and accountable for its loss experience," he says. "Base it on factors on-site management can control and measure—not just frequency and severity of losses." He also encourages use of early/modified return-to-work programs for injured employees. "This may seem counterintuitive," he explains, "but the positive impact can be both short- and long-term. The overall loss experience is affected and, more important, the positive message sent to other employees is invaluable." Maher's closing advice is simple: "The restaurant segment has many markets available to agents and brokers when the market is soft, but if and when there is a firming, many of the players that drifted into this segment will leave. An agent or broker focused on this segment would be wise to have markets that have demonstrated that they are also specialists, and will remain viable partners no matter how the markets ebb and flow." It's valid counsel for the entire hospitality insurance arena. Dusty Rowland, president and CEO of Mainstay Insurance Group, lists the following cautions for hotels and related risks. • Proper insurance to value (ITV). The market sometimes offers blanket and agreed amount limits, which can help buyers overcome an instance where the insured has purchased too little building coverage. • Employee dishonesty limits. Hotel owners think they'll never use this, and then learn their controller has been siphoning off small amounts of money for years, and the total loss is substantial. • Guest discrimination coverage. Hotels might buy employment practices coverage and not the guest coverage. Some specialty programs provide the coverage in the GL form. • Property in your care, custody or control. This is a "must have" for all hotels. Agents can offer this in the GL form or buy it as a legal liability (innkeepers) coverage on the crime policy. • Health care professionals as insureds. Resorts with spas have this exposure and need this coverage. • Valet parking services. 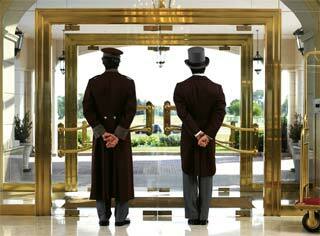 Most full service upscale and luxury hotels and resorts offer valet parking services and need to be sure they are covered properly. • Ordinance and law. This is key property coverage with the ever-changing building codes. Buyers either buy too little or go without to help control cost. That's not a good decision. ◊ Green certified coverage. For a loss to a green certified building, coverage available from AGPOM will apply to rebuilding and additional expenses driven by regaining green certification. ◊ Green upgrade coverage. This coverage pays the extra expense when a non-certified building opts to go green after a loss. Added costs might result from use of Energy Star equipment; eco-friendly lighting, paint and carpet; or water-efficient plumbing fixtures. ◊ Green commissioning expense. This coverage provides for a commissioning engineer to inspect a newly built or repaired system after a covered loss to confirm operation at peak performance and expected efficiency. • Business income limits. Most insurance buyers don't take time to complete a BI worksheet—a valuable tool to determine proper exposure levels. The tool forces buyers and agents to address all aspects of a potential loss and its business impact. • Abuse and molestation coverage. Depending on hotel amenities, this can be an important coverage that is overlooked. If there is an exposure, most underwriters will try to exclude it or increase the premium. Either way, agents and clients need to address the exposure. • Pollution exclusions givebacks. Hotels and resorts should never buy a stripped-down GL form with an absolute pollution exclusion. Specialty programs will give back hostile fire and exposures to swimming pool pollution from the pool chemicals. Resorts with golf courses need coverage for pesticide and herbicide applications, since an absolute pollution exclusion might cause a gap in coverage. "In the restaurant/tavern segment, many insureds fail to take advantage of additional coverages…often carry insufficient liquor liability limits, and don't really understand business income coverage."